Looking for a 24/7 waste removal service? You are at the right place! You own a bar or a restaurant and you want your place to be clean and cosy for the clients? Call us now and use our professional services. We operate in every part of London and Greater London and we clean bars and restaurants during the day and night! We remove rubbish 24 hours 7 days a week! Call us! You are at the right place. Being available for our clients is the essence of our business! It is important to us to be reachable at any moment because we know how difficult it is to find a reliable bar/restaurant clearance company. Just as you take care of your clients, we take care of ours. We want you to be well serviced and satisfy. The success of our business guarantees the success of yours! You can trust us with your place, when we leave you will find it perfectly cleared. And you can have this any time you need it! We charge you affordably and reasonably! You pay for the volume of the rubbish taken out of your bar/restaurant. You can check our price list for details. Our work is professional and our teams work hard and efficiently. You can be absolutely sure that you will receive what you want: a perfectly cleared place! Because we our services are 24/7 everywhere in London! We offer the best! Any time you need us, we are there. Everywhere you need us, we are there! We know how hard it is to maintain a public place like a bar or restaurant clean, that is why we help you do that! 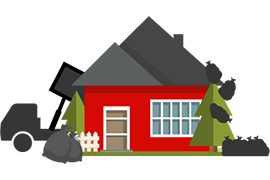 We are equipped to perform any kind of rubbish disposal and the amount of the waste or the size of the place does not bother us in any way! Call us on +442037692921 and get your bar/restaurant waste collected now!